HIIT For Fitness: Fact or Fiction? With the holidays fast approaching, Jane wanted to get fit, shed that extra weight she had put on and perhaps even gain some muscle in the process. She had heard about HIIT for fitness before but didn’t bother with it. She decided she knew what to do to achieve the fitness she wanted. She wanted to go about it correctly so she had the best chance for success. She took her time to clearly articulate her fitness goals and measure her progress. She decided to go out for a jog every day and watch her diet as most of her friends were also doing the same. She didn’t dither long and got started on her fitness plan. 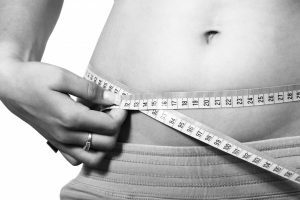 About 6 weeks into her plan, she discovered that while she lost weight in the initial weeks (which was very exciting), the weight loss gradually slowed and had plateaued. The routine had gotten a little boring and at times she felt weak and exhausted during the day. On the verge of giving up and puzzled at this, she decided to investigate how the human body responds to exercise. What she found had her very excited and brought her enthusiasm right back. She had discovered HIIT for fitness! She decided to give HIIT a go and was quite simply blown away by the results. The above story with a happy ending is fictional but is not very far from the truth for many of us who have tried HIIT. Did it resonate with you? The questions really are, did Jane actually benefit from HIIT or was it just her enthusiasm and other factors that helped her achieve her fitness goals? Even if HIIT did benefit her, how so? Also importantly are there any downsides to HIIT? In this article, I hope to answer the questions above. Hopefully, you will tune in to what I’m saying, learn and benefit from it. 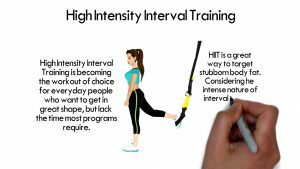 High-Intensity Interval Training (HIIT) simply put is an exercise plan that alternates between short, intense burst of exercise followed by low-intensity exercise or rest. This exercise pattern is repeated until the end of the HIIT session. Before we dig in, let’s understand a few terms that will be used as this article unfolds. Aerobic exercise is any form of low to medium intensity exercise that uses free oxygen to meet the metabolic needs of the body. Typically, aerobic exercises can be performed for long durations. We are all familiar with this exercise form – going out for a walk or a run would be an aerobic activity. Anaerobic exercise is any physical exercise where one goes out of breath very quickly (in seconds typically). Anaerobic training means training without oxygen instead metabolic pathways provide the required power. The exercises are short in duration and high in intensity lasting from a few seconds up to a couple of minutes. This form of exercise causes lactate to form which allows glucose breakdown to produce energy. The muscular development in this exercise form is very different from aerobic exercise. 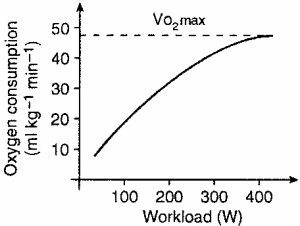 VO2 max is a measure of maximum oxygen intake by a person. It is an indicator of cardiovascular fitness and a powerful indicator of future health. Insulin sensitivity measures how sensitive the body is to insulin. Diabetics, for example, have low insulin sensitivity and require larger amounts of insulin to keep the blood glucose levels stable. Aerobic (cardiovascular) fitness is an important component of physical fitness and is the ability of the heart, lungs and blood vessels to provide adequate oxygen to all parts of the body and the ability of the body to use the oxygen for movement. I first saw HIIT for fitness in action back in Feb 2012 when I watched Michael Mosley’s show The Truth About Exercise on BBC’s horizon program. In the program Michael Mosley (co-author of The Fast Diet) was put under a radical, time-saving exercise routine (HIIT) which improved his body’s insulin sensitivity by a remarkable 23% coupled with a 10% improvement in his cardiovascular fitness. The HIIT protocol required him to get on an exercise bike and cycle as hard as he could for 20 seconds followed by a resting period and repeat it 2 more times. And that was it for the day. A grand total of one minute of intense exercise! After doing it 3 days per week for 4 weeks, he completed 12 minutes of HIIT (1*3*4 = 12 minutes) and his blood sample showed a sharp increase in insulin sensitivity by 23%. Also, his cardiovascular fitness improved by 10%. It made me question quite a number of things that I thought I knew about exercise. For example, I assumed that the more exercise you do it’s better for you. Well after the program I realised that may not necessarily be true. Forget several hours, we are talking just a few minutes a week to get remarkable health and fitness benefits! There are two important health factors that can be dramatically improved through exercise. The first is insulin sensitivity. Insulin removes sugar from the blood. It controls fat and when it becomes ineffective, the person becomes a diabetic. The second important factor is aerobic (or cardiovascular) fitness measured as VO2 max. It’s a measure of how good the heart and lungs are at getting oxygen into the body. It’s not just an indicator of how fit the person is, but also a powerful predictor of future health. In other words, if a person can improve their VO2 max and insulin sensitivity, he/she will improve fitness levels and probably live longer. Contrary to conventional thinking, the HIIT protocol has shown that its is possible to improve these health markers with a remarkably short amount of exercise. In a period of just a few minutes per week, you can dramatically improve your insulin sensitivity and your cardiovascular fitness. How can such a short amount of exercise have any benefit at all? Without going into the too much technical detail, I have explained what actually happens below. The key thing about this form of (anaerobic) exercise is, in the absence of free oxygen, it breaks down the glycogen stores in the muscles where the glucose is stored. When that happens, a signal is sent from the muscle to the bloodstream for more glucose. This is done by producing insulin to shift that glucose which brings down the blood sugar levels significantly. What’s really good about the HIIT protocol is unlike walking or jogging where you are probably activating 20-30% of your muscle tissue, here you are activating 70-80% because of the high maximum intensity nature of the exercise. The scientists researching the effects of HIIT on fitness believe that ultimately it’s the intensity that counts. It breaks down the stored glycogen in muscles much more effectively than moderate exercises like jogging. HIIT is an exercise protocol that you cannot afford to ignore. The two key factors of health that are influenced by exercise are positively impacted in a very short period of time. HIIT will improve your glucose and therefore your insulin sensitivity. When you are at your VO2 max, your cardiovascular system improves in fitness. The two factors together go a long way in improving your health, fitness, and longevity. Getting fit is an imperative. Exercise is the best way to achieve this goal. Exercising extracts fat from the blood and make it available to the muscles where it is consumed. This is good. If you don’t exercise regularly, the fat remains in the blood and eventually lodges itself in your system.That’s the start of bad things. Exercise switches on genes that make an enzyme called lipoprotein lipase (LPL) and this controls the amount of fat in the blood. 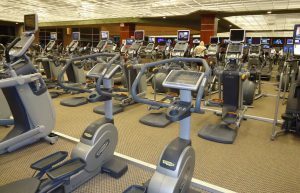 The trouble is in order to produce that result, we actually need to spend many hours per week exercising. While this can be done occasionally it is not easy nor practical to sustain this level of exercise commitment long term. If you do long sessions in the gym or jogging and that’s what you enjoy, great. But most of us don’t. HIIT may be the new kid on the block but it’s making waves. It is a form of exercise protocol which is very effective and can easily fit into your busy life and is something you can honestly imagine doing for the next few decades without a break. HIIT would suit everyone and can easily be tailored for people of all fitness levels and special conditions, such as overweight and diabetes. It will help a lot more people get those vital health benefits. HIIT workouts can be performed on all exercise modes, including running, cycling, walking, swimming, elliptical cross-training, and in group exercise classes. HIIT workouts can be done even at home. Injury is one of the main concerns. If you have been leading a sedentary life, be cautious when you sign up for an HIIT workout. Know yourself and your limits. If you have a pre-existing medical problem, you must have a checkup before you start. This is necessary because of the high-intensity nature of the exercise. The health and fitness benefits of HIIT are backed by research and evidence. Scientific research worth millions are in progress learning more about HIIT and its impact on the human body. It’s a newly evolving field of study that has really taken off in the last few years. … Jane (remember her?) may not have been too concerned about her blood sugar levels and her cardiovascular fitness when she started on an HIIT program to lose weight to get prepared for a summer beach holiday. Unbeknownst to her, she inadvertently started on an exercise form which benefitted her far more than she was aware of. I am one of those people that like to exercise. The technical stuff about health and fitness makes my head hurt. LOL. HIIT interval training sounds like something I would like. Interval training seems to be more like the normal way humans should keep healthy and fit. It is more like normal work, hunting, gathering, building and farming. Most of us no longer hunt or farm. We just go to the super store. Work has also been transformed into sitting at a computer for many of us. I would like more information on the HIIT for fitness program. This year HIIT has gained in popularity and is the no.3 fitness trend. See my infographic blog Top Fitness Trends in 2016. One of the reasons for its popularity is that one gets the same benefit as continuous endurance workouts in a much shorter time period. The high-intensity nature of the workout engages more muscles in the body and more calories are consumed as a result. In addition, HIIT can be tailored based on individual needs. A wide range of exercises can be incorporated into a HIIT exercise plan. A relatively fit person can choose a HIIT routine that involves sprinting and a person with, say a weak knee, may decide to include swimming in their HIIT schedule. According to the American College of Sports Medicine, another benefit of HIIT is the Excess Post-exercise Oxygen Consumption (EPOC and also known as afterburn) is greater compared endurance workouts. This is typically a 2 hour period after a workout where oxygen levels are replenished by the body to the pre-workout level resulting in the consumption of more energy (calories). Thanks for your comments Tony and let me know if you require further information. Great stuff you got here. I love the story you told about Jane and her issues with weight loss. I’m sure many people can relate to her story. High intensity interval training has become very popular over the last few years. With systems like Beach Body, P90X, Intensity, and the list goes on and on. HIIT is a great way to train and get in shape, but can be dangerous if not done correctly or/and if you’re not on that level of training yet. A lot of people see these cool new things and instantly want to just try them, but they don’t realize they might not be ready for it just yet. I love how you do a fantastic job of not only helping people understand the benefits from HIIT, but also the risk. Great post! good information! HIIT training is high-intensity and so the risk of injury is ever present. However, this can be mitigated in many ways. One of them, from my experience, is working with a coach or a personal trainer. A professional PT will know enough about you to make decisions about what’s possible to do. Another is simply knowing yourself well enough. In the end, you are the best judge. If in doubt, start small and scale up gradually. This has always been my preferred approach. If you take this approach, please see my blog on Fitness Walking. It’s one of the best exercises for HIIT and with very low risk of injury. Wow! This post answered my questions on HIIT. I have told myself that “I am going to give it a try” in the past but have never actually done it. This has motiviated me to mix it up a bit and give it a go! Thanks for the great information. Thanks Rachel, glad you found the information useful. I believe the key is to just make a START with HIIT. It’s one of the best exercise protocols with scientific evidence to back the health and fitness benefits, so it’s a shame to miss out on this new fitness trend. Start small and as you progress and begin seeing and feeling the benefits for yourself, I suggest a proper fitness plan that includes a HIIT workout at least twice a week. 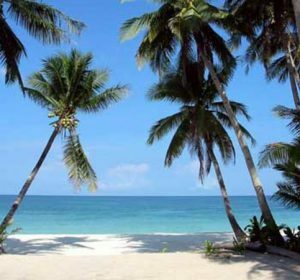 I go for a 30-45 min exercise (walking , jogging, rock climbing, push ups) in the sea beach every morning. What Do you advice me according to your HIIT system? Lovely to hear that you have a 30-45 exercise schedule daily. That’s a great routine and you can easily include a HIIT routine in it. Let’s take an example scenario. Consider walking. When you go out for a walk, plan a HIIT fitness walk. Simply put, it will involve a warm-up walk for a few minutes followed by a high–intensity fitness walk for 30-60 seconds followed by a few minutes of low-intensity restful walking. During the low-intensity walk, you are breathing in great gulps of air to restore the oxygen levels to normal . Repeat this three times and your HIIT session for the day is done. You could do the same when you go jogging. In fact, I do this one too. I break into a 15-second sprint and after that, jog at a slow pace to catch my breath (one can even stop and rest if necessary). Once I feel rested, I sprint for another 15 seconds. I repeat this 3 times. I wrap it up with a 3-minute cool down walk at the end. I suggest you do the HIIT sessions no more than twice a week. The other days can be your usual endurance exercise routines. Great article and lots of helpful information. I’ve been hearing a lot about HIIT lately, and while I know trends in exercise change over time, professionals are really excited about the results achieved. When I’m cycling I do a bit of my own version – put some real effort into it for a couple of minutes, then slow it down… We’ll see if it’s doing any good!! I am sure it is. The beauty of HIIT is it can be tailored to all needs. When done right, you’ll start noticing a difference in your physical health soon. If it is a stationary exercise bike, then you have better control of your HIIT routine. I suggest putting in your maximum effort for no more than 20 seconds initially. Doing this 3 times as part of HIIT (warm up, high-intensity followed by low-intensity/rest (done 3 times), warm down), you will have done 60 seconds of high-intensity cycling for the day. Do this twice a week consistently, and you are on your way. HIIT has been around a few years and is one of the top fitness trends in 2016. This is the first I hear about HIIT. It looks like a powerful exercise program though. I’m probably gonna start doing this soon, since it seems fit my daily routine. Time is the most important thing we have, and if I can get fit with a little of it, why not? Thanks for the intro Sandeep! It’s well worth your investment of time and effort for the health and fitness benefits that accrue. The key is to just…START. Start small and build on it as you progress. Fitness walking is perfectly suited for HIIT and makes it easy to get started. I have been in and out of the gym my whole life and I have to say HIIT is one of my favorite ways to train. Mainly because it is the most effective way to get the best workout in the shortest amount of time that I know of. You uncovered some things I did not know about it. Great information here! Great to hear that you are using HIIT as part of your training. The fact that almost every sports person is using HIIT as part of their training is validation enough for the fitness benefits but some of the long term health benefits are less known (like reduction in blood sugar, improvement in cardiovascular health, etc.). There are millions of dollars invested in research and development on better understanding the impact of HIIT and with the advancements in medical science, there will soon be more on HIIT that we do not know of today. What a great article, thank you so much for this. I don’t do HIIT cardio, however I do like the idea of burning calories for up to 48 hours of working out, even while you sleep! I find that lifting weights gives you the same results so I just stick to this. There’s so much info here so I’ll send this to my friends. Lifting weights and HIIT exercises are both anaerobic. Power or energy is provided through metabolic pathways in the body and not by oxygen. During the times of rest, the body replenishes the depleted levels of glucose in the muscles from the blood (in case of HIIT) or regenerates muscles that were broken down (during strength training). Both these activities require energy to complete and hence calories are burnt even after the exercise session has finished. Although the two are similar in terms of calories consumption post exercise, there are differences too. Strength training alone does not necessarily improve fitness unless combined with aerobic exercises. Have you considered a mix of both HIIT and weights in your training plan? When done right, you get the best of both worlds! I would recommend discussing with a personal trainer who can guide you to your fitness goals. Glad you found the article useful and thanks for sharing. This is a great review of HIIT. This is something I could see myself trying because being in the military were always trying to find ways to improve our physical fitness. I really want to lose weight as well and get in the best shape of my life. Do you think this is good to use for military personnel ? Absolutely. The very nature of military work involves bursts of intense physical activity followed by brief resting spells. This requires endurance and strength. HIIT is highly suited for this level of fitness. A simple HIIT program that includes sprints (for high intensity) with slow jog (for the resting phase) will go a long way with weight loss (you will also ideally need a good diet plan), and overall physical fitness. The long term health benefits are an added bonus. Sandeep, I would first like to say, thank you for an informative and well-written article. I have all I need about HIIT in this one article. I am exceptionally happy to know that as a diabetic, who exercises at home, I can use HIIT as well. I will give it a try and let you know. One of the hidden (but huge) benefit of HIIT is that it brings down the blood sugar. Ordinarily, this may not spark much interest but to a diabetic, this is good news. Advancements in medical science have proven beyond a shadow of doubt that certain types of diabetes are reversible with exercise and diet. HIIT is one the best exercise forms to counter diabetes and you can do it at home.